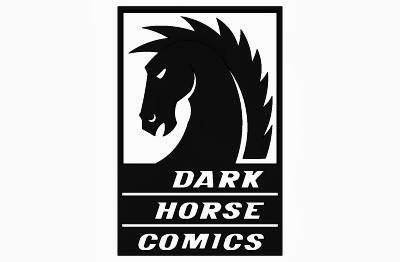 "The End of an Era", that's Dark Horse Comic's own Mike Richardson stated yesterday morning on the Dark Horse Comics News Feed, and folks he wasn't kidding! Follow the jump for more! After more than 20 years of handling the Star Wars line of comic books and more so--- revitalizing the Star Wars franchise in a most literal way, Dark Horse Comics told the world that as of 2015, it would no longer have the license to make comics for Star Wars. That job would be going to Disney owned Marvel Comics, who had the license prior to Dark Horse. Marvel, you listening? 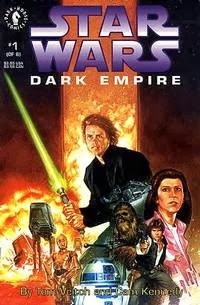 Good-- cause let me tell you first hand, you got some big shoes to fill when it comes to the Star Wars universe(s) that Dark Horse has been giving us since 1989 when they launched the epic Dark Empire series. Tales of the Jedi , and the rest of the Expanded Universe given to us in such an amazing string of comic series, and one shots the likes of no other. That's what you need to remember, cause Dark Horse set the bar rather high, and they didn't look back for one second. Personally, I wish Marvel the best when it comes to Star Wars as my love for the franchise as a whole (save Episode I, II, and III... Sue me.) is a deeply rooted, and quite personal love. This is a new direction indeed. So long as we get good stories, epic characters and worlds to lose ourselves within, I am down with that action.